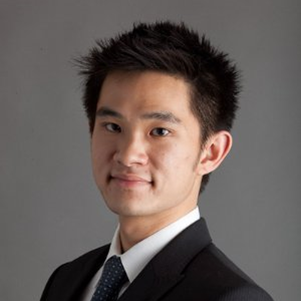 Gabriel Ng is a dual degree MBA/MPA student at New York University. After growing up in Hong Kong, he moved to the UK, where he earned a B.A. in Law at the University of Cambridge, Trinity Hall. A former lawyer, he is interested in the intersection of law, policy, and business, and is currently working as a research assistant at the Stern Center for Business and Human Rights. My grandmother was a concert pianist and my mother built a business in the fashion industry from scratch. With this level of creativity embedded into my DNA, I did the logical thing and became a tax lawyer. Tell us what your daily reads are. The Economist and the BBC. You have just been given a million dollars to launch your best entrepreneurial idea. What is it? Set up a human rights consultancy able to advise companies about all aspects of human rights (legal, regulatory, PR, due diligence, employee training, risk mitigation, integration with business model etc.). If you had to choose a theme song for Adam Smith, what would it be? I would chose “Juicy” by The Notorious B.I.G. It is a classic aspirational song that embodies the American dream. You sit down to dinner with Adam Smith and Friedrich Hayek. What would you serve them for dinner? Haggis, neeps, and tatties for Mr. Smith - he was a Scot, after all. Mr. Hayek, who argued "there can be no doubt that some minimum of food, shelter, and clothing, sufficient to preserve health and the capacity to work, can be assured to everybody", will have to take what he is given!